Former Nizamabad MP Madhu Yaskhi alleged that a group of TRS supporters, who posed as Congress activists, attacked his convoy. 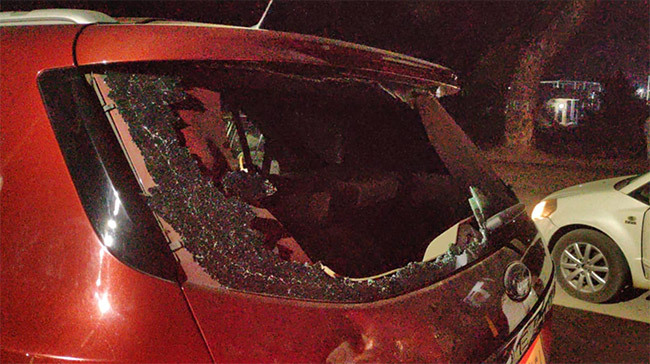 Congress National Secretary and spokesperson Madhu Yaskhi had a narrow escape after a group of people attacked his convoy near Metpally town on Thursday night. He was on his way to Nizamabad, where he was planning to cast his vote in the State elections, which is currently underway across 119 constituencies in Telangana. 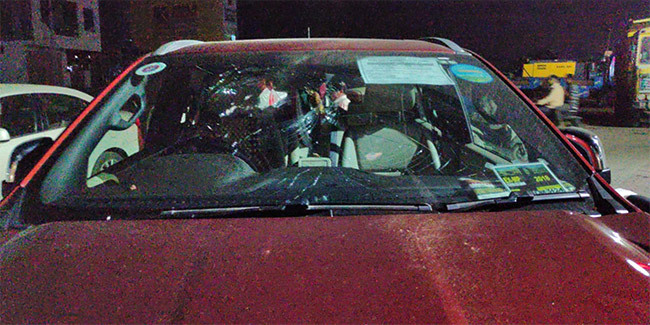 The glass panes of the Congress leader’s vehicles were destroyed. While the former Nizamabad MP alleged that the group of people were supporters of Telangana Rashtra Samithi’s K Kavitha, reports also suggest that the attackers were supporters of former MLA Komireddy Ramulu, a Congress leader who was aspiring for a ticket from Korutla. However, Juvvadi Narsingha Rao's name made it in the final list after intense fighting. According to reports, the supporters alleged that Madhu Yaskhi was responsible for denying party ticket to Komireddy Ramulu from the Korutla Assembly. A few TRS supporters were also reportedly in the group that attacked the convoy. The Metpally police rushed to the spot and sent away the attackers. They have also registered a case and are investigating it. Uttam Kumar Reddy, president of the Telangana Congress and one of the leaders of People’s Front, also took to Twitter to express his anger over the attack. “I severely condemn the anti-social elements who have attacked former MP Madhu Yaskhi’s convoy. This motivated attack requires a thorough investigation by the authorities and perpetrators should be brought to book… Such attacks have no place in a democratic country,” he said. Madhu Yaskhi also told the media at Nizamabad that TRS workers posed as Congress activists to attack him when he stopped at Metpally for tea at the residence of Dr MB Dastagiri. “The group approached me for a conversation and all of a sudden, they tried to attack me. However, Dr MB Dastagiri’s son rescued me. The group damaged my car and had come with iron rods and petrol bottles,” he told the media. He also alleged that the police did not provide him with any additional security despite getting threat calls for his criticism against the TRS.